​Trained to be an assassin from childhood, the Nowhere Man uses his significant skills and resources to help those in need whilst living off the grid. However, when his next call for help is compromised he mistrusts those who have turned to him in desperation, but who after all these years is holding a grudge? Will he outsmart those pursuing him or has he met his match? 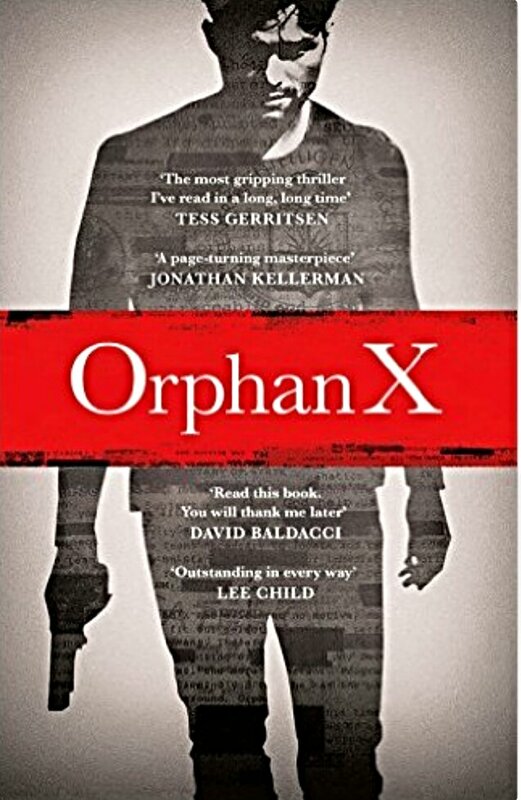 Quite a fast-paced and reasonably unpredictable thriller, Orphan X has all the properties and flare to keep you turning the pages and guessing the various government conspiracies that come to mind as you read this mystery thriller. Told mostly in the first person from the point of view of our protagonist, Evan Smoak, you get deeply embedded in the mind of a highly skilled operative trying to keep out of the line of fire whilst using what he has to offer as a vigilante. As much as I enjoyed the twists, turns and fast pace of the book, it did by design read quite clinically cold, both a strength of writing in character but a fault too in that I felt the book overall lacked something. However, what it has in spades is intrigue and I read this mostly in one sitting as the story just flowed once I got going. An introduction to what seems like it will be a series to watch, I look forward to the next instalment of the Evan Smoak books. I think I gave it four stars too. Some things were done well but overall it lacked emotion for me. Interesting. I’ll have to look it up. Definitely one to get your blood pumping.